Service Starts in 29 days and 11 hours! Do you know where your paddles are? New! Check Delaware River Conditions! This shuttle, sponsored by the Delaware Water Gap National Recreation Area, provides access to the Delaware Water Gap National Recreation Area's four Pennsylvania river access points, numerous trailheads as well as Shawnee Inn, Villa's at Fernwood, Shawnee Playhouse, downtown Delaware Water Gap, to just name a few. Service starts Saturday, May 25, 2019 and continues each Saturday and Sunday until Labor Day, September 2, 2019. Includes Memorial Day (May 27th), Independence Day (July 4th) and Labor Day (September 2nd). Click on the links below for the shuttle schedules. Shawnee Inn river access is for Inn guests only. A private company operates from this access point and it is not open to the general public. No direct access to Kittatinny on southbound River Runner. But why would you want to when you can float there? Check back soon for the updated printed schedule! This free shuttle provides access to the Delaware Water Gap National Recreation Area Kittatinny Visitors Center, Dunnfield Creek Trailhead, Lake Lenape Trailhead (New for 2019! ), and Delaware Water Gap Park and Ride. There is no trailer / boat portage service on this route.1 Service starts Saturday, May 25, 2019 and continues each Saturday and Sunday until Labor Day, September 2, 2019. Includes Memorial Day (May 27th), Independence Day (July 4th) and Labor Day (September 2nd). Click on the link below for the shuttle schedule. 1What? No kayak and canoe portage service? Why? Click here. There is no trailer / boat portage service on this route. This shuttle provides access to the Delaware Water Gap National Recreation Area starting at MCTA, then Stroudsburg High School Parking Lot (Dreher Ave side), Martz Bus Terminal in Delaware Water Gap and then on to the Park and Ride in Delaware Water Gap. Service starts Saturday, May 25, 2019 and continues each Saturday and Sunday until Labor Day, September 2, 2019. Includes Memorial Day (May 27th), Independence Day (July 4th) and Labor Day (September 2nd). Check here for updates for the River Runner buses. MCTA has been partnering with the Delaware Water Gap National Recreation Area for the past nine years to provide free public bus service along the Pennsylvania side of the river. The River Runner is a free weekend shuttle with boat and bicycle portage between Memorial Day and Labor Day from Stroudsburg, PA area to Milford, PA and back. The River Runner is free to board. Pick the location you'd like to board and your destination using the schedule and map above. Be at the stop about 5 to 10 minutes before the bus is scheduled to arrive, with your gear ready to load. 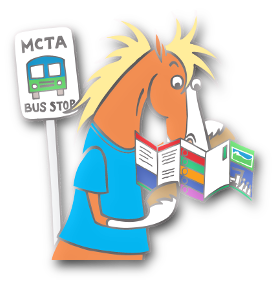 MCTA can transport bicyles, canoes, kayaks, children (who may be properly behaved), and dogs (who are properly behaved). Passengers are required to load and secure their belongings, MCTA operators will check the equipment to ensure it is properly stowed. Putting equipment on the trailer takes some time. There will be times the bus is late. We apologize in advance, but please be aware that this may happen. Coming with a large group (10 or more people)? Please call ahead to let us know so we can be properly prepared. Is there service on Friday? Is service available during the week for a fee? No. However, you may contact livery services such as Dingmans Campground, Kittatinny Canoes, Edge of the Woods Outfitters, Chamberlain Canoes, Adventure Sport, or other outfitters who may transport you for a fee. Are children and dogs permitted on board the bus? Do I need to bring my own tie down straps? No, MCTA provides the straps. You secure your boat using the provided tie down straps. The bus operator will assist you and inspect (and fix, if necessary) before pulling away. Drive to the take-out point where you intend to finish your trip. Unload your vehicle at the shuttle stop, park your vehicle in the appropriate lot. Be ready to board at least 5 mintues before the shuttle is scheduled to arrive. Load your craft on our trailer and secure with our tie down straps. The bus operator will re-check and tighten any tie down straps. Do not store items in your boat. All loose items can be stored on the bus or trailer. Please note the bus may be late and / or full. 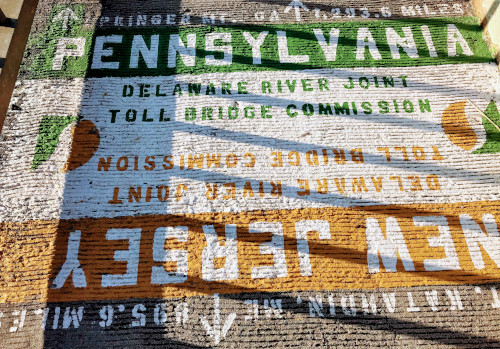 Enjoy your trip down the Delaware! Float back back to where your vehicle is parked. Leave when you're ready. Special note: If you're coming from Milford area or points north, click this box. Through 2018, MCTA transported thousands of kayaks and canoes up and down the Delaware River. Our free boat portage service is most helpful for those who use the river for boat recreation. Our trailers are designed to haul up to 10 kayaks, canoes, and smaller inflatable craft, along with personal flotation devices, oars and paddles, coolers and camping equipment. If you have access to, and the ability to use the proper equipment, you can take a trip anywhere from 2 to 30 miles on the Delaware River. The best part is that we take the chore of the relay vehicle. You park and load our bus and float back to your vehicle (or vice-versa if your coming from the Milford area). Portage service is limited from Kittatinny to points north for 2019. The first two River Runner trips will start at Kittatinny at 7:50 AM and 8:50 AM. 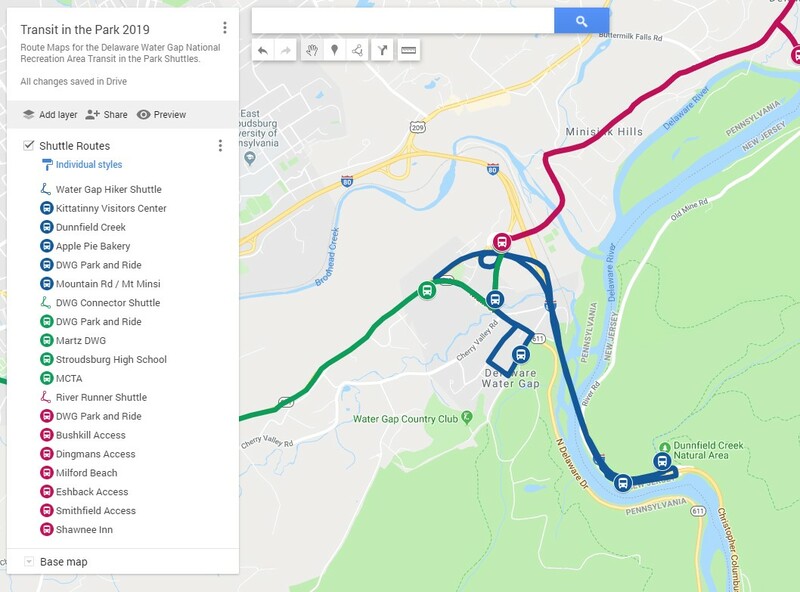 If this does not work for your schedule, we recommend the following: (1) Park at the Delaware Water Gap Park and Ride; (2) Take the River Runner north to your choice of stop; (3) Float back to Kittatinny; (4) Leave your boat(s) in a secure location; (5) Take your small gear on the Water Gap Hiker Shuttle back to the Delaware Water Gap Park and Ride and (6) Drive back to Kittatinny for your boat. Why was this change made? Crossing the Delaware with a trailer cost $12 per trip. By not attaching a trailer, we can afford to run more trips to reduce parking issues at Kittatinny and Dunnfield Creek. All of our bus operators are specially trained to drive this route and have at least a CDL Class B license. Our trailer equipment is checked regularly throughout the season to ensure safe operation. Each vehicle is provided the proper maintanence to meet all state standards. Reminder: the NPS requires every boater to have a personal flotation device. There are a limited number of overnight camping locations approved by the Delaware Water Gap National Recreation Area. You can use the River Runner for an extended overnight trip by parking at the Milford Beach location and completing your trip at Kittatinny Visitors Center (or vice versa) on a weekend service. Be sure to check the schedule and be off the river to catch the shuttle back to your vehicle in time. 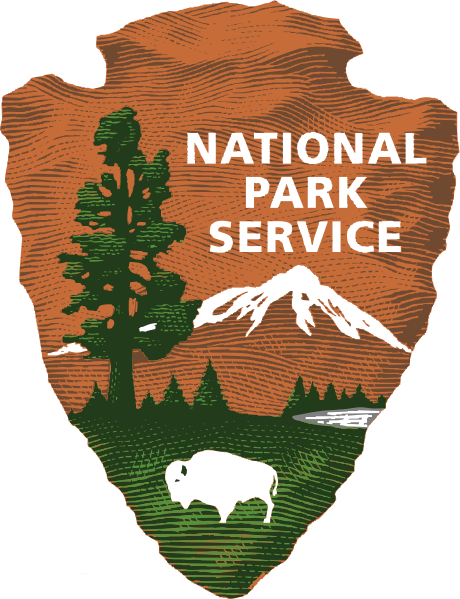 Check the National Park Service for important information about camping along the river. Waterprooof river recreation mapsets are available for the Delaware River using this link to the Delaware River Basin Commission. Also, A Paddler's Guide to the Delaware River may be a useful book for those looking for the most information about the river. For an extended trip on the river, consider participating in the 2018 Delaware River Sojurn. The trailer gets full, especially on gorgeous, sunny days. If you're coming from the north (e.g. Dingmans Ferry, Milford, Summit, NJ, upstate NY) and have a group of people AND water craft with you, consider doing this: drop your gear at your put-in point (with a few folks to watch it) and stage your relief vehicles at your take-out point. Use our shuttle to ferry the drivers back to your put-in point. Seats are always available on the shuttle for passengers, but limited space for boats on the trailer. We know everyone wants to ride the shuttle - that really is the highlight of our day, of course - but this movement will make your trip more enjoyable if you don't have to worry about having space on our trailer for your equipment. The McDade Trail offers a unique view of the Delaware River and the surrounding area for the 30+ miles from Milford to Hialeah. Hiking and biking are acceptable uses of the crushed stone trail. Numerous small bridges span the gaps between gullies and small streams. Expansive views welcome vistors who make the journey to key locations. For the intrepid visitor, the Delaware Water Gap National Recreation area on the Pennsylvania side has a number of great places to visit, accessible by hiking or cycling. 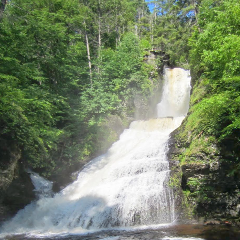 Dingman's Falls is one of the tallest on the US East Coast. Raymondskill Falls are tucked into an area known for its incredible views. A number of trailheads exist radiating perpendicular to the McDade Trail on the other side of US 209. Updated for 2019 MCTA, in cooperation with Delaware Water Gap National Recreation Area and Worthington State Forest, is providing service between Delaware Water Gap Park and Ride, Kittatinny Visitors Center, Dunnfield Creek, and - new for 2019 - Mountain Road in Delaware Water Gap, PA, for access to the Appalachian Trail at Mt. Minsi. After 10 AM on most summer weekends, parking lots at both locations are full. 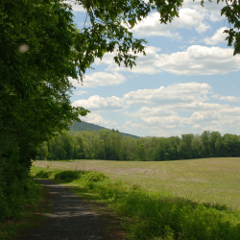 The Water Gap Hiker Shuttle will permit you to park your car in a safe place and provide you easy access to the trails at Dunnfield Creek and on Mt. Minsi. This shuttle will run every half hour between 10 AM and 5:30 PM, departing from the Park and Ride. There are so many possiblities when taking a hike in the Delaware Water Gap National Recreation Area / Worthington State Forest. In addition to planning an extended over night hike on the Appalachian Trail, many day hikes from easy to difficult can be found. If you are a beginner hiker, you may find this resource from HobbyHelp useful. 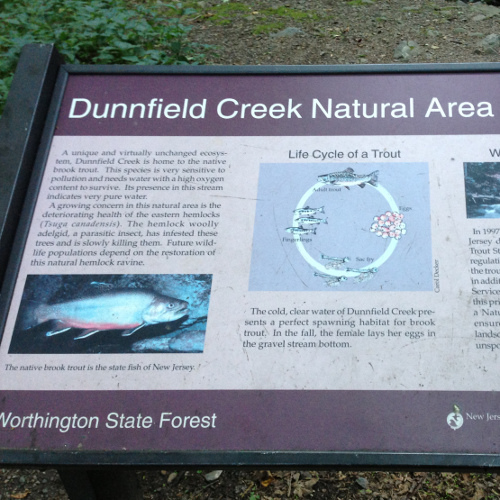 So you got to Dunnfield Creek and Kittatinny and there's no parking - you were given info about this great place to park and ride back over using the Pocono Pony. But you got there just as the shuttle left and now you want to know what to do. We've got the answer! Use this link for a map of I-80 Exit 310 recreation opportunities! Of course, it isn't the Red Dot Trail, but there is still a lot to discover! This video is a review of the Delaware Water Gap National Recreation Area and the Monroe County Transit Authority's services in Monroe and Pike Counties.